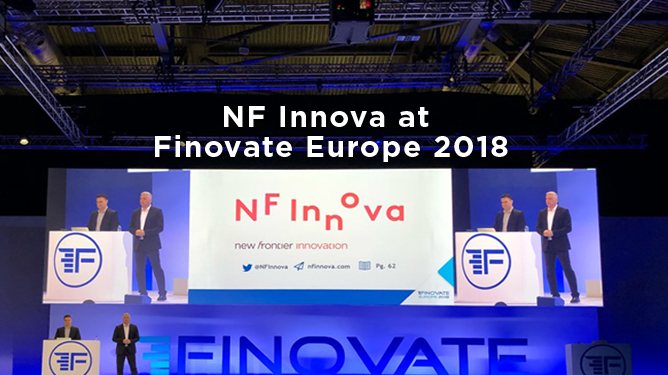 We are back from Finovate Europe and very proud that we have been a part of such a memorable event. 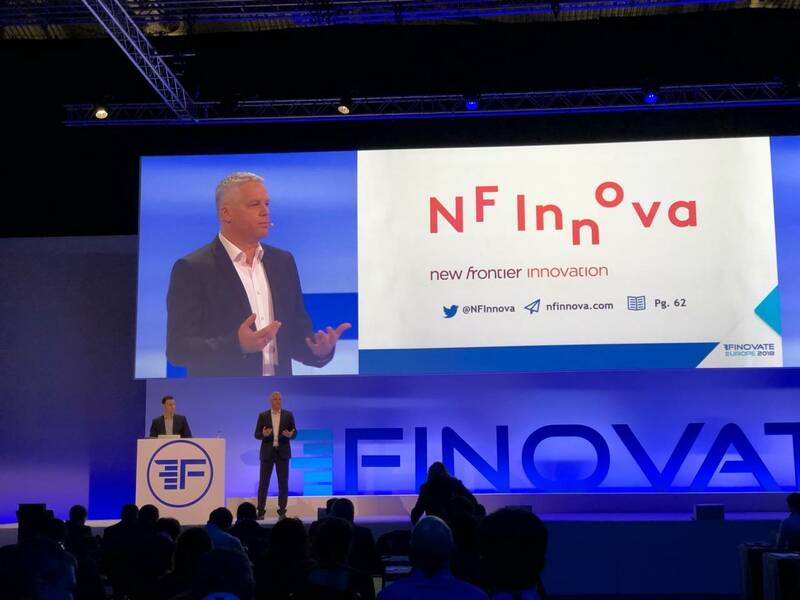 Finovate is one of the most successful conferences that is promoting financial service technologies and it has been in the limelight for over 10 years now. This year’s European event was held in London from 6th to 9th of March with more than 1400 attendees, over 70 companies and more than 120 expert speakers. Fintechs had a chance to showcase their cutting-edge banking, financial and payment solutions in a unique, short-form, demo format. Some of the topics that were covered at this year’s event are AI, Investing/wealth management, Lending, Advisory, User experience, Open banking, Identity/KYC. So there was something for everyone – bankers, venture capitalists and entrepreneurs. 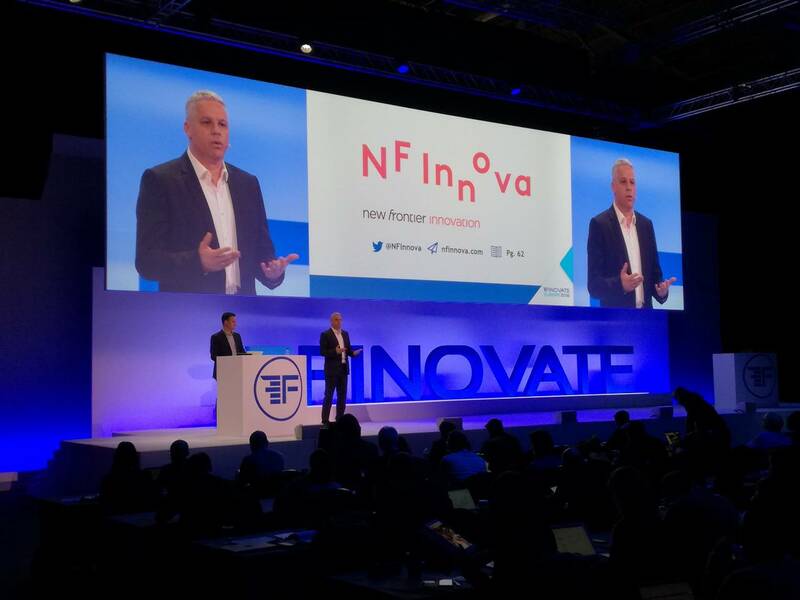 If you want to stay informed and find new ideas you need to be ahead of competition, Finovate is the place to get inspired for future ventures. 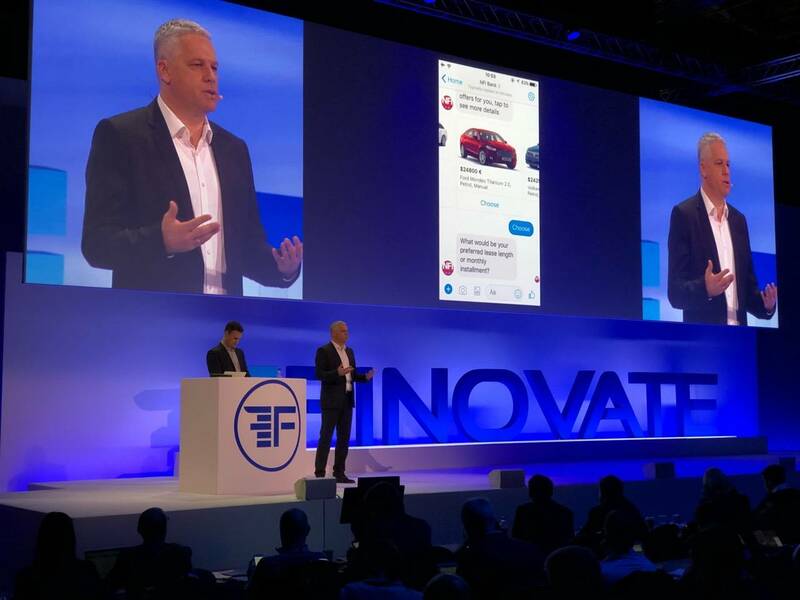 NF Innova presenters Dejan Petković and Vladimir Stojić, showcased the smartbot engine for advanced communication, which facilitates the flow of information between users and companies. The solution was developed by New Frontier Group as a modular application that is fully integrated in the iBanking opti-channel platform providing users with the appropriate assistance in decision making or any other query thus ensuring the best possible customer experience and seamless journey. Smartbot is designed in the way so it can support highly demanding digital processes, allowing channel hopping during any action while keeping the progress uninterrupted. Regardless of the input channel, smart bot provides consistent communication on any channel in place by consolidating historical data into a single point. Managing this volume of data is highly challenging and demands a platform that can not only accept this amount of information but also process it properly and provide adequate feedback for the user on the channel of their choice. All this is achievable with NF Innova iBanking platform which provides single point of administration with real-time process optimization and no need for additional programming. “Our digital banking solution is recognised as the leading banking solution by the IDC MarketScape report for 2017. 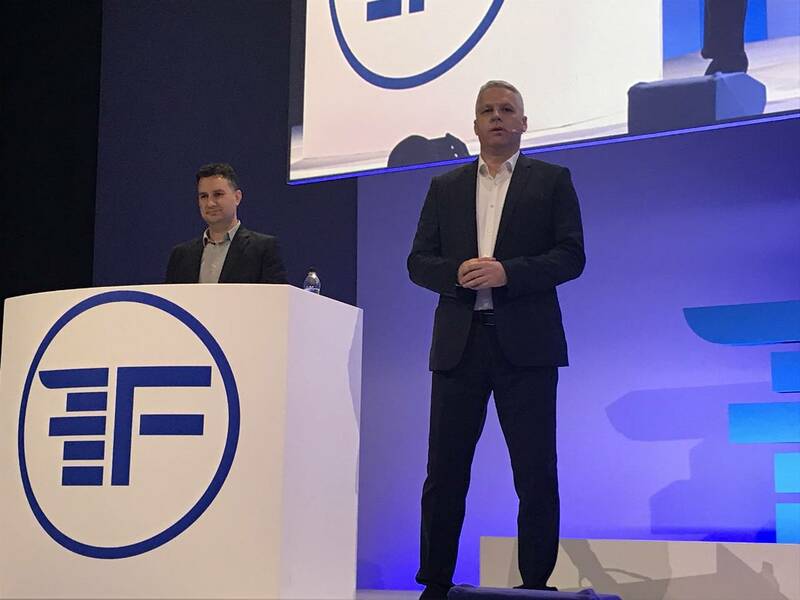 We are proud that we had the chance to present our highly innovative solution which gives a huge competitive advantage to our clients and value to their end users,” stated Vasa Segrt, CEO of NF Innova. This is the prime advantage for the administrators, making any change to the process or product straightforward. Our presenters, Dejan Petković and Vladimir Stojić also stated that this is only one use case and that possibilities of the iBanking platform are countless. NF Innova is constantly working on various enhancements with the aim to provide true digital banking to its clients.